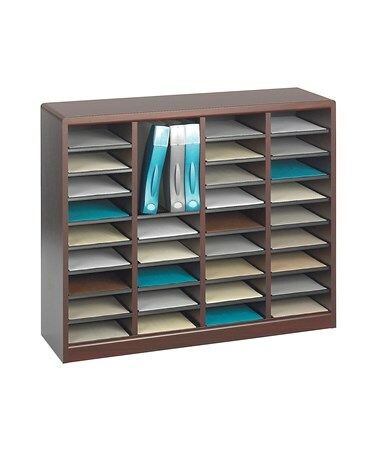 The Safco E-Z Stor Wood Literature Organizer is a great addition to any mailroom, office, school or store to provide an effortless and stylish way of sorting literature. 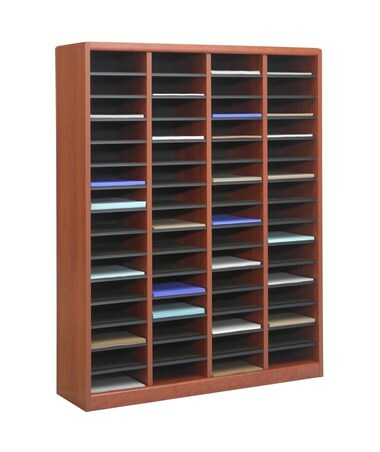 This unit can be used as a mailbox, material holder or as a stationary sorter. 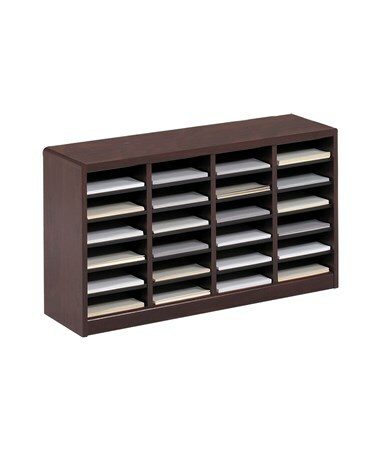 It features shelves with a capacity of 30 pounds and compartment that can hold up to 750 letter-sized sheets each. 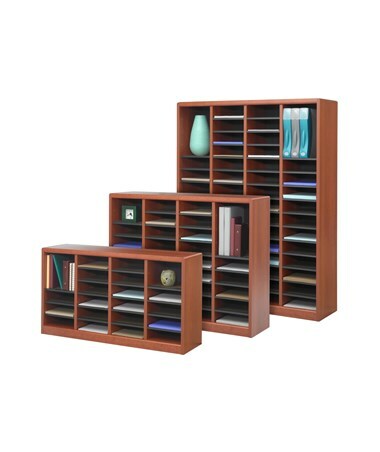 The shelves can also be removed to create an expanded compartment size. 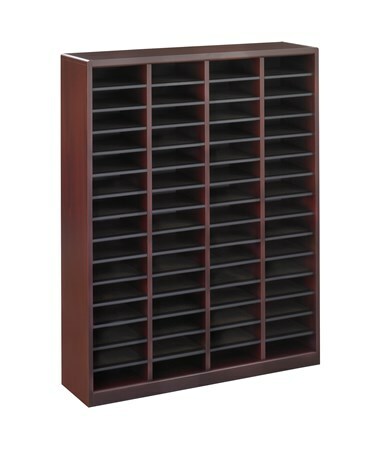 It also includes black plastic label holders for storage cubbies. 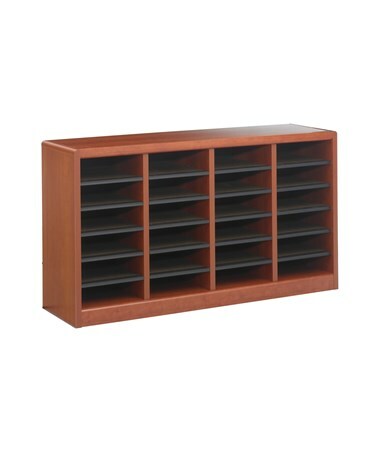 This durable organizer is made of ¾-inch furniture-grade compressed wood with a laminate finish and hardboard shelves. 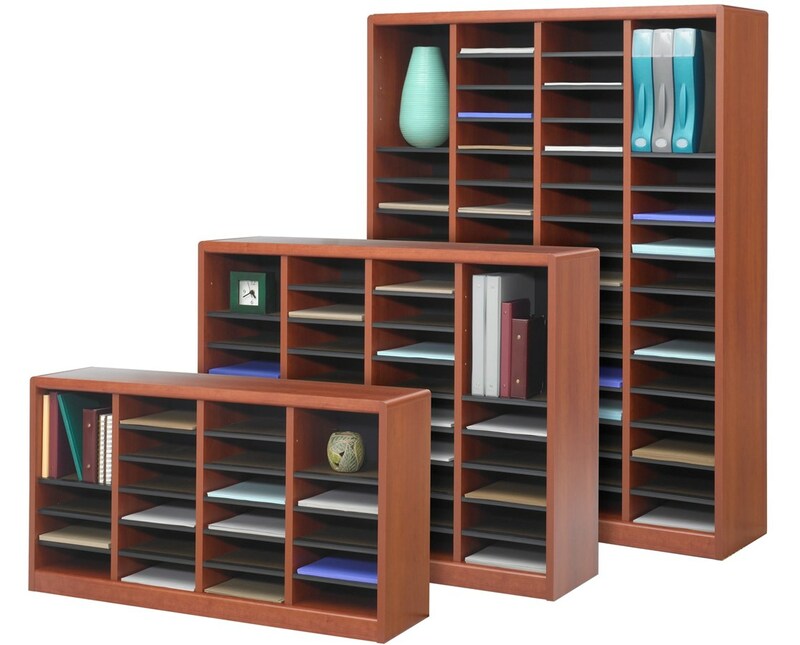 It is easy to assemble with the cam-lock system and is safe for indoor use as certified by GREENGUARD. 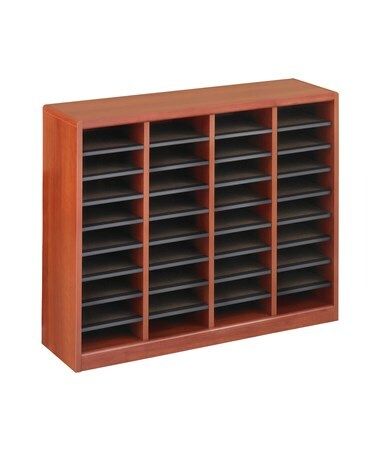 The Safco E-Z Stor Wood Literature Organizer is available in a different number of compartments and colors. Please select your preference from the drop-down menu above.